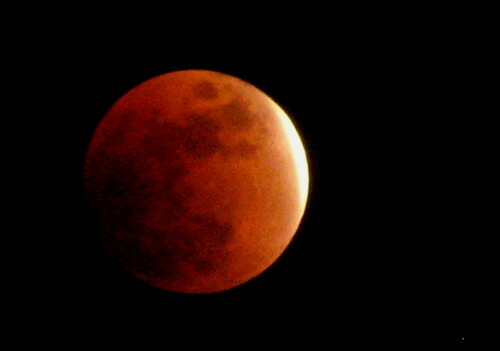 Lunar Eclipse photo by Flickr user Squeakymarmot. In case you were thinking that Bellingham just hasn’t been dark enough lately, you’re in luck! As you may have heard, there will be a lunar eclipse tonight. And then tomorrow is the winter solstice, also known as the shortest day of the year. This is the first time since 1638 the two have happened on the same day. Depending on our weather (hopefully the clouds will clear), you will be able to see the lunar eclipse starting at 10:33 Pacific Time. By 11:41 the moon will be in total eclipse, and it will stay like that for 72 minutes. The experts are saying that 12:17 will be the best moment for viewing the eclipse.